Whether you’re already engaged, planning to be soon, or are nowhere near the big question, everyone is familiar with engagement rings. 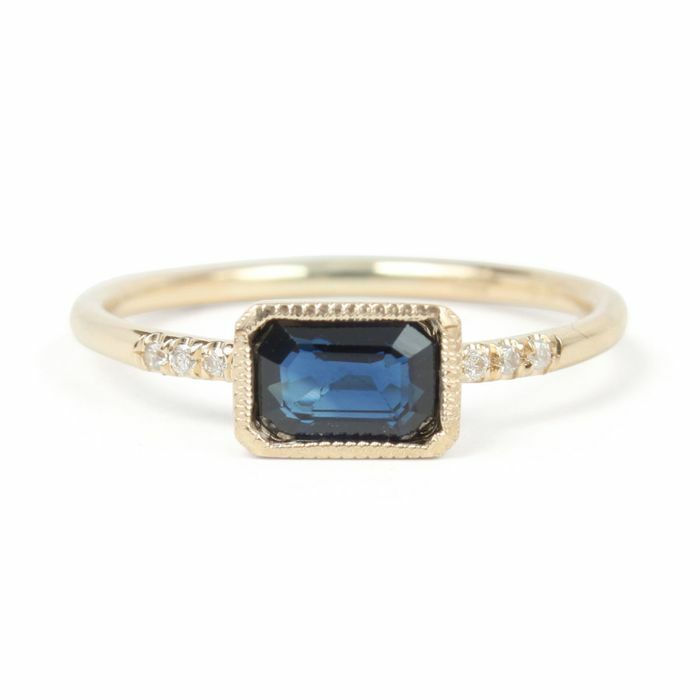 And let’s be honest: Looking at different engagement-ring styles is always an enticing activity. And like any type of clothing or accessory, these rings have had their fair of trends old and new. So what are the biggest and unexpected engagement-ring trends of 2018 so far? We asked Theresa Bruno, founder of Jordan Alexander, and Shelley Brown of The Knot, for their expertise when it comes to the coolest trends they’re seeing couples wear now. “I am so intrigued by where bridal is going—more and more we get requests for elegant, understated, and something unusual,” Bruno shares. The designer feels a kinship with those who choose her unique leaf designs as well. According to Brown, lots of brides are “looking for rings that reflect their individuality.” Brown states that the most surprising trends include colorful center stones, hexagonal halos, and two-stone rings, which she says comes in a variety, as it is a unique setting. With these trends in mind, we rounded up engagement rings with each trend for you to get some inspiration for when you are shopping for that special piece of jewelry. Find your favorite trend below. A blue sapphire is so unexpected. Available in sizes 4 to 8.5. This center stone is simply elegant. This ring is so eye-catching. This stone is so cool. Available in sizes 4.5 to 6.5. We can’t get over this. This is bound to grab anyone’s attention. Available in sizes 3 to 15. For anyone who knows they have a star-crossed love. We can’t deny how stunning this ring is. This will make you rethink the standard solitaire. This ring is so cool. We’ll never get tired of rose gold. With these unique engagement-ring styles, there’s no doubt that they’ll definitely catch someone’s eye.